Xacus, a new website and a mobile app! Each season, Xacus offers several labels of shirts, to meet with a wide range of customer needs. For example the Black label is formal, but not too much, while the label named Beluga Washed is characterized by washed effect shirts, with a bit of a vintage style. All the shirts reflect the company’s history in tailoring: the costruction of the collars is so spectacular, that it’s almost impossible to find it elsewhere! It’s a sign of a strong identity that the brand has built up in time. 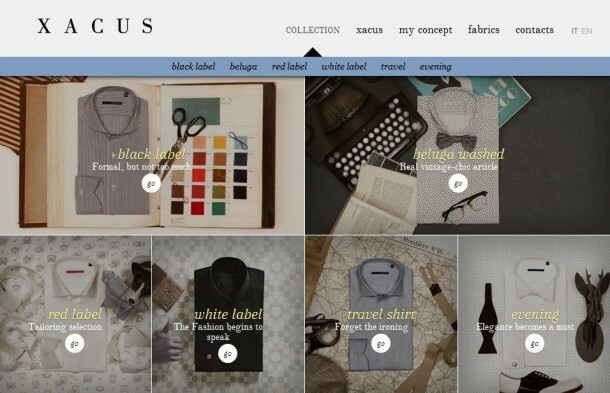 This summer, in occasion of Pitti Immagine Uomo, Xacus unveiled its new website. The redesign has made the interface very intuitive and easy to navigate, also from smartphones and tablets. The design is pleasant and refined in detail, as a whole the site is attractive and easy to read. Among the site you can find a voluminous press release, a summary of the company’s history, an overview of textiles and of course the collections! The official website is truly useful to keep yourself up to date with all the latest news from the world Xacus! To be more precise, in the section of the collections you can find a catalog full of shirts of the current season, divided by their labels. The shirts are photographed on a model and accompanied by a couple of images of the details. The result is certainly very convincing! You can also read about the fabrics manufacturers, which contribute much to realize these beautiful shirts, always made of the highest quality materials. On the website you may also go “backstage”, and discover the “behind the scenes” video of the photo shoot for the Xacus 2012 ad campaign. In addition, in this same area, you can view the ad campaigns of the past, which not only show the shirts from the previous seasons, but are really nice series of photographs too. Xacus also keeps up with new technologies. 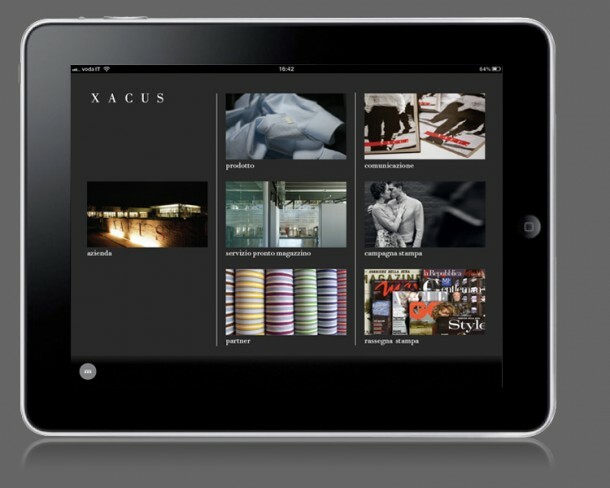 If you have an iPhone, iPad, iPod touch, you can now download the Xacus app from the App Store! It’s a multimedia version of their Brand Bible, where you’ll find everything you want to know about this brand, look books, video tutorials and much, much more… What do you think about the website and the app? Do you like the new collection of Xacus? 2 Responses to Xacus, a new website and a mobile app! Hello, I just found your site and thought I’d say I had a great visit, and thats because I finally found information that i was looking for.